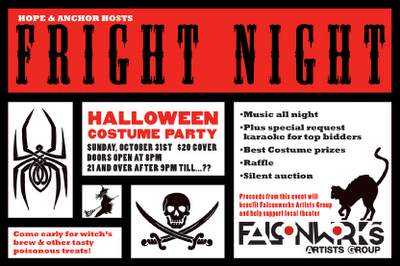 A View From The Hook: The Hope and Anchor Hosting Halloween Fundraiser for "Falconworks"
The Hope and Anchor Hosting Halloween Fundraiser for "Falconworks"
Our friendly neighborhood diner, the Hope & Anchor, is throwing a Halloween costume Party to benefit Red Hook based Falconworks. "Falconworks Artists Group" is a not-for-profit organization whose mission is, in their own words, "to empower communities and individuals through the arts. Falconworks is everyday people making theater about the issues, big or small, that affect our families, friends and neighbors." 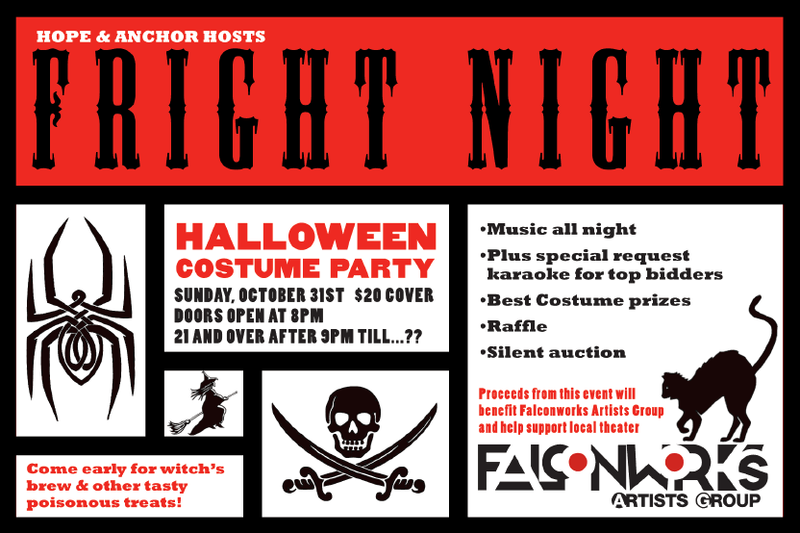 This event is a night-time, adult, Halloween night party, (but they'll allow kids till 9pm) so get all of your Trick or Treating done and get along afterwards. This will also work for those who are coming along to the "Red Hook Howler" neighborhood block party (bouncy castle, music - including AudraRox @ 1pm - pumpkin carving, food and drinks from local vendors), on Van Dyke Street, between Van Brunt and Conover Streets, between noon and 7pm.